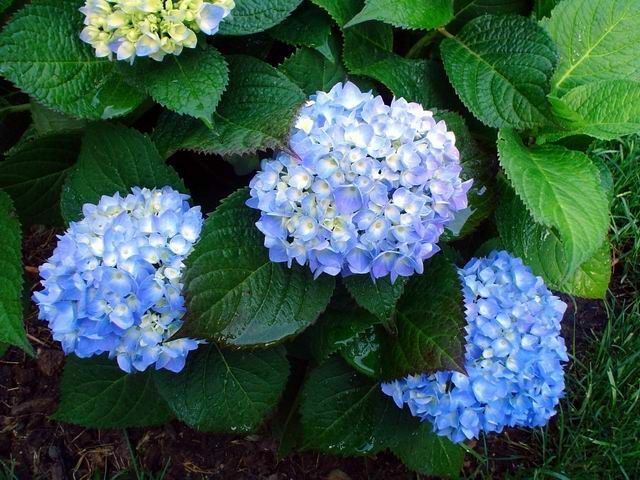 As you can see from the pictures below, 'Endless Summer' may be blue, pink, or lavender, depending on the soil in which it is grown. It will not be dark blue, deep pink or purple. 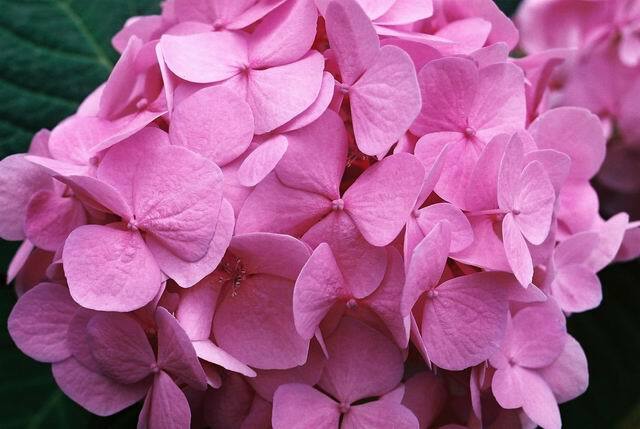 The intensity of a hydrangea, for the most part, stays the same, no matter what color it is. 'Endless Summer' is always light in intensity. 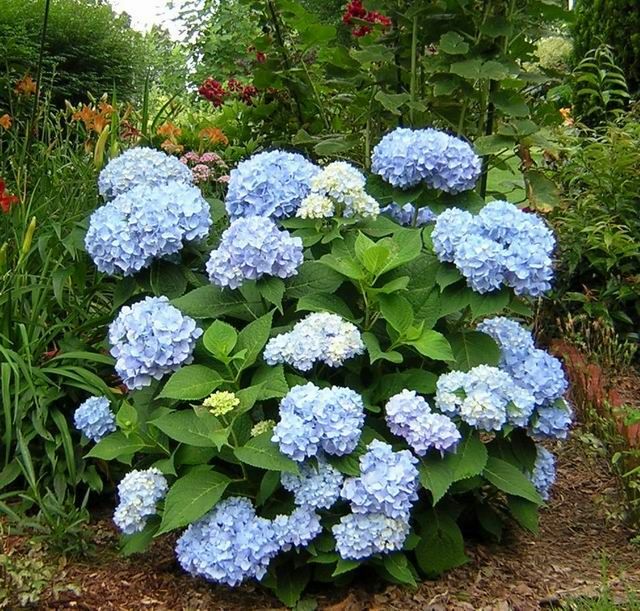 All of the pictures on this page are images of 'Endless Summer,' sent to us by fellow plant addicts. Notice that the pictures are taken in a wide variety of locations. We've found the quality and beauty of these pictures to be exceptional. We have enjoyed every one of them. I know you will, too. 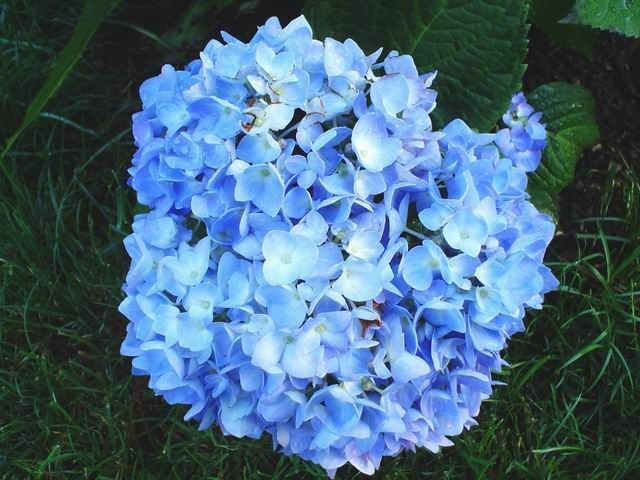 John, of Woonsocket, Rhode Island, is growing these beautiful blue 'Endless Summer' hydrangeas. 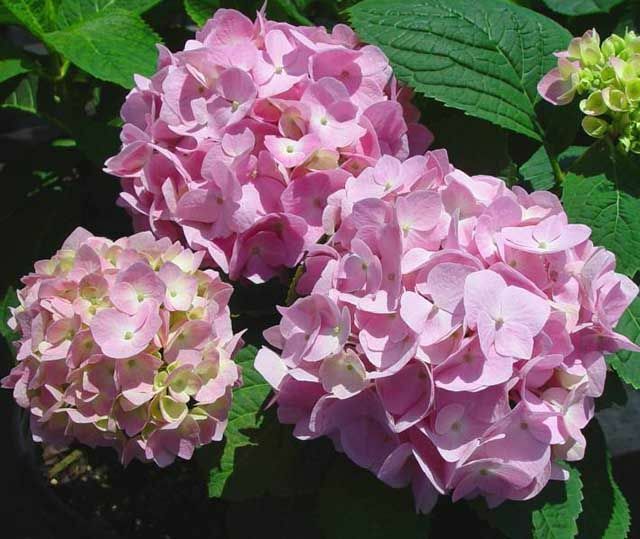 Interestingly, he says they bloomed throughout the summer, and the new blooms gradually turned to pink, then to light pink. John says, "They were stunning." Grown and photographed by Gail in Trussville, Alabama. 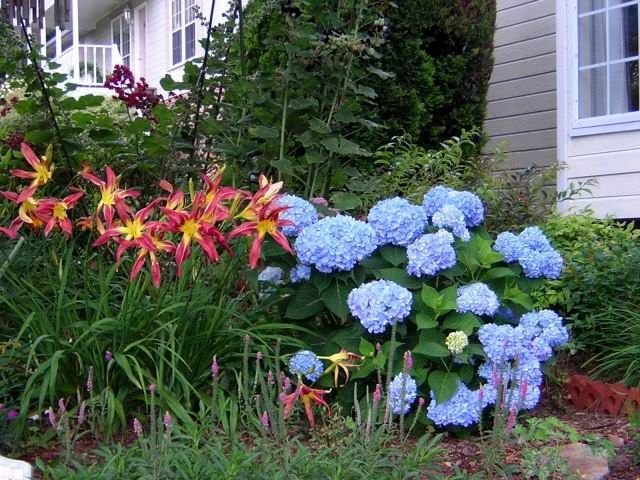 The color combination of the daylilies with the hydrangeas is one of the most beautiful garden groupings we've ever seen. This picture was taken in November, 2004. 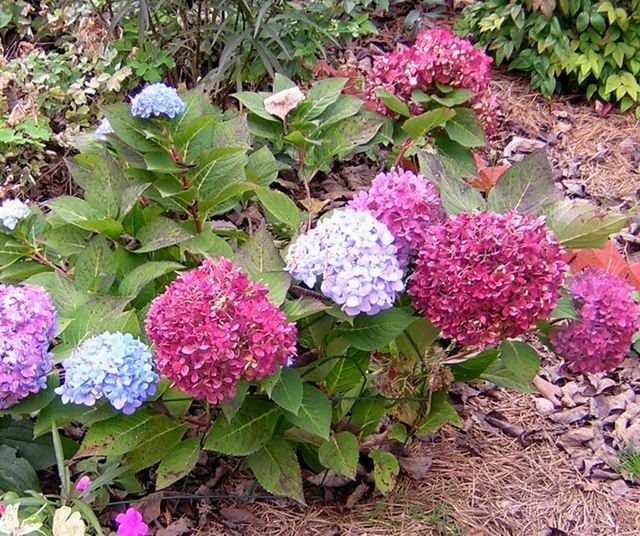 The blooms on this hydrangea were originally blue and aged to these gorgeous fall colors. These pictures of 'Endless Summer' were sent to me by Luc Balemans of Belgium. 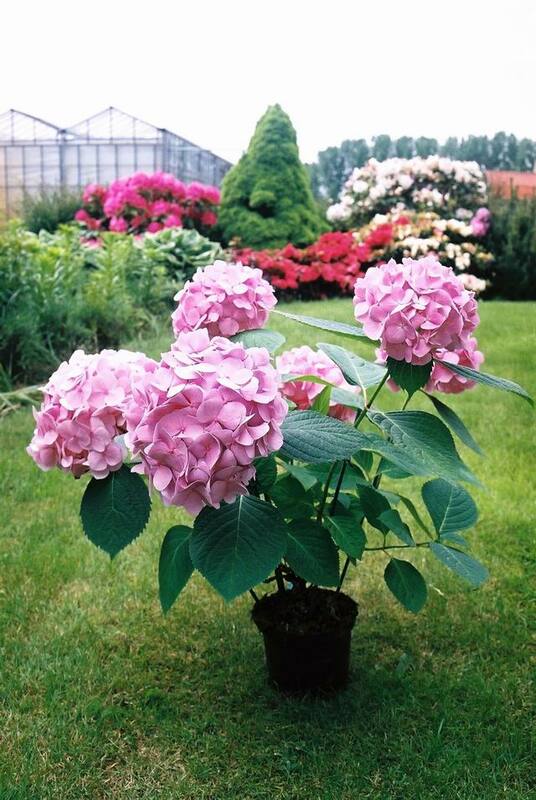 He is an expert in the area of hydrangeas, and he takes their identification very seriously. If you question whether or not you actually have an 'Endless Summer,' compare the leaves and blooms to these pictures. 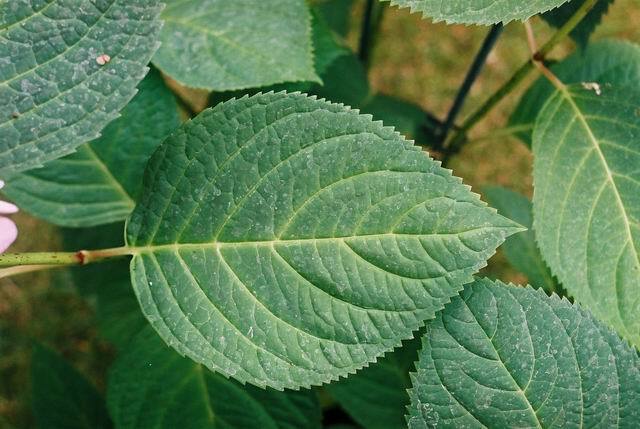 The close-up photos reveal the individual flower petals to be smooth and the leaves to be serrated.